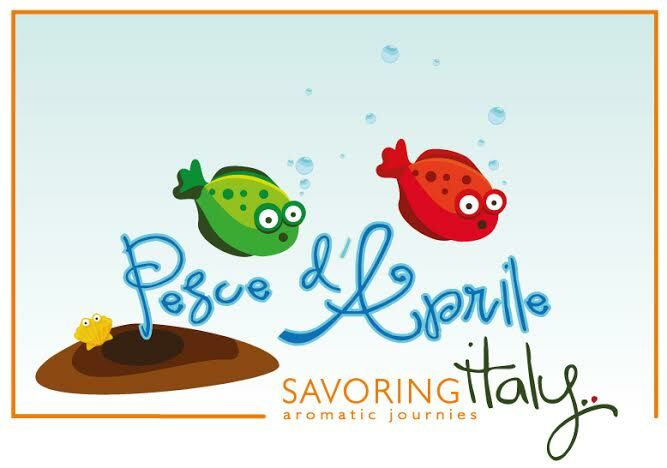 April 1st is known as pesce d’Aprile in Italy! It’s a day of practical jokes and plenty of silliness! Who knows really why a fish is part of this day and all of the funny hoaxes? L’hai visto? – Have you seen him? Then plenty of loud chuckling and belly-aching laughs ensue while the pesce d’Aprile tries to remove the fish cutout and tape it on another victim! Silly Italian humor that is quite irresistible! -The most ancient joke in Italy is that of the announcement made by Buoncompagno from Florence in the XIII century when he promised to fly over the town of Bologna with a machine he invented on April 1st. The whole population gathered to see the flight, which actually never took place as it was a trick. -In March 1878 the Gazzetta d’Italia, an Italian newspaper, announced that people from Florence could have watched the cremation of an Indian mahraja but they never saw it as some people came out of a bush shouting “pesce d’aprile” exactly when the coming of the hearse was expected. -In 1967 a leaflet from URFA, an office in charge of rescuing abandoned cats, announced that starting from that moment cats were banned from the town. Some people also started to abandon their cats. -In 2001 the newspaper La Stampa announced that some complex forms of biological life, huge worms, existed on Mars and that they had left their traces on our planet. In the same day the newspaper La Repubblica announced a Finnish experiment on telepathy. According to a non-existent scientist telepathy would have soon become a human mental faculty. Italians like having fun and playing tricks on this day in which everything is accepted. Therefore, if you ever go to Italy on April 1st don’t get surprised of hearing the famous motto of the day “pesce d’aprile” and being played a joke upon.